Last week we met some awesome people from many New Jersey Companies that attended Survcon 2019 in Atlantic City. I was there for the entire three days @ Bally’s and had the chance to catch up with some friends and clients. It was especially good to see my old friend Mike Williams from Williams Land Surveying in Ocean Grove, NJ. 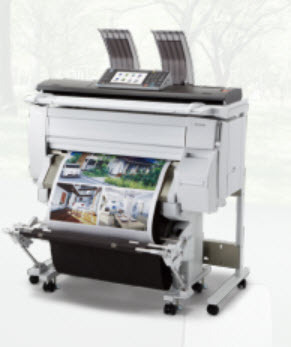 Survcon 2019 saw us demonstrating the Ricoh CW2201SP color wide format printer/scanner/copier. One of the neat features of the Ricoh CW2201 is ink, well it’s just not plain ink. It’s actually small particles of toner that are held in a gel type liquid format (like ink). When the ink transfer to the paper the gel evaporates and leaves an color image that will not fade, run or smear when or if the documents get wet. In addition we spoke about the large paper roll which takes up to a 590 foot roll of paper. Attendees asked about the cost of the ink, the cost of on-site maintenance and if supplies were or were not included. Our demonstration with the Ricoh CW2201 had us pouring water on to the prints and then smearing the water on the printed documents. One would have bet that the ink would run or smear. But that wasn’t the possible because the ink evaporated and left the color toner behind. Art demonstrated our Ricoh DD2200 whites boards (22 inches wide) and how businesses use them to collaborate with wide format drawings. These white boards are connected to the network and allow users to mark up drawings and in real time, connected network users can also see those mark ups. With offices that have multiple locations. One white board for each location will allow everyone to produce mark ups , note and highlights. Digitally marked up document can then be saved and printed. 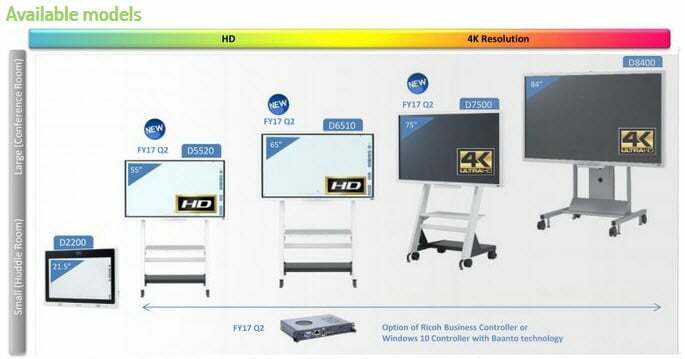 Sizes of the white boards range from 22 inches to 84 inches. Ricoh’s line of interactive whiteboards (IWB) are large touch screen displays that make collaboration and presentations easy and engaging. They connect to a computer or external video source. With a stylus or fingers users can write on the board, display images or documents. Users can also mark ups documents and save large scale images. 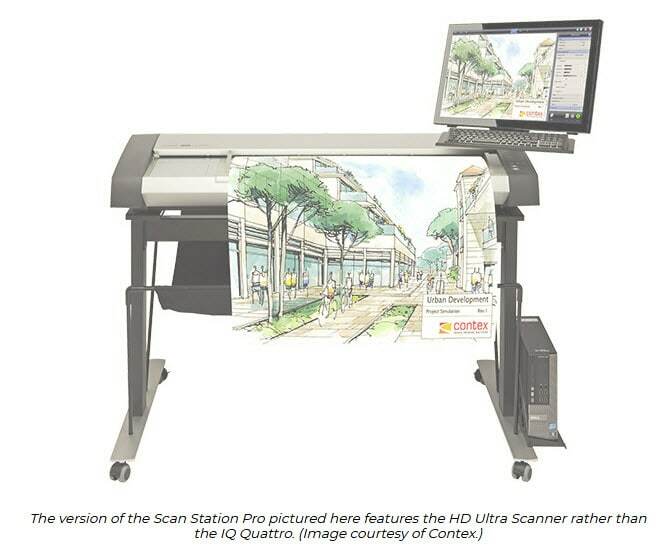 While we did not have any dedicated wide format scanners to demonstrate. We did field many questions about software. Questions were related to scanning software that will de-speckle, de-skew and alter scans. Because many attendees were interested in scanning legacy paper based documents. Here’s a link for that software. Email apost@stratixsystems.comif you’re interested in learning more.